[2010 Book] Auschwitz—The Case for Sanity by Carlo Mattogno Auschwitz: the Case for Sanity is the revisionist response to Robert van Pelt. Its first revelation is that van Pelt has committed plagiarism: he plundered and basically regurgitated the research results published in 1989 and 1993 by French researcher Jean-Claude Pressac – yet without naming his source even once. On more than 700 pages, Mattogno thoroughly scrutinizes van Pelt’s contorted assertions by juxtaposing them to material and documentary facts. 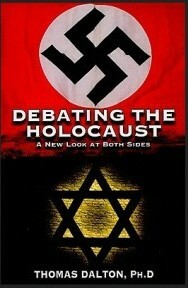 Mattogno’s analysis is devastating for van Pelt, as it reveals that van Pelt’s study of Auschwitz ignores crucial counter-arguments, fails to approach pivotal technical issues with technical means, is highly inconsistent, uses deceptive methods, presents conflicting sources without due source criticism, deforms all sources to serve the author’s perspective, and reveals a shockingly threadbare knowledge of the history of Auschwitz. 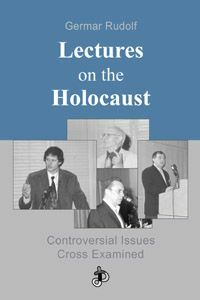 The Gas Chamber of Sherlock Holmes: An Attempt at a Literary Analysis of the Holocaust Gassing Claim by Samuel Crowell There is no material or documentary evidence that unambiguously supports the gassing claim. -- The evidence put forward overwhelmingly refers to either disinfection or civil air defense, including gas protection. Hitler's Jewish Soldiers The Untold Story of Nazi Racial Laws and Men of Jewish Descent in the German Military by Bryan Mark Rigg Contrary to conventional views, Rigg reveals that a startlingly large number of German military men were classified by the Nazis as Jews or "partial-Jews" (Mischlinge), in the wake of racial laws first enacted in the mid-1930s. Rigg demonstrates that the actual number was much higher than previously thought--perhaps as many as 150,000 men, including decorated veterans and high-ranking officers, even generals and admirals. One of Weisenthal's victims who still languishes in prison in West Germany is the attorney, Manfred Roeder. 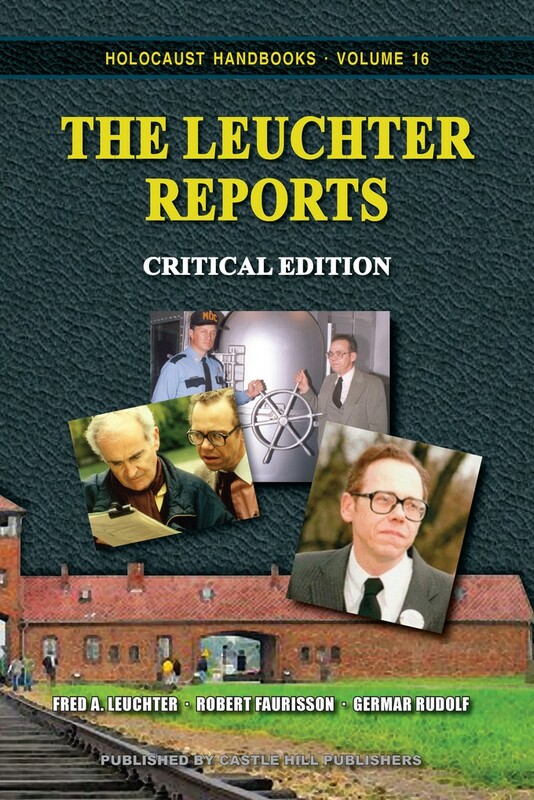 Weisenthal was enraged because Roeder had dared to write the preface to the famous revelations contained in the brochure, "The Auschwitz Lie", by Thies Christopherson. Christopherson had spent the entire war at Rajsko, the ancillary camp at Auschwitz, and therefore could be trusted to know what he was writing about. Weisenthal says, "I don't know what induced Christopherson to dispute that there had been gas chambers at Auschwitz", implying that Christopherson had been bribed to make these statements. The fact that Christopherson was merely reporting his own observations at the scene caused Weisenthal to explain it as "mental derangement", a favorite ploy of the Zionist conspirators, which can always be upheld if a friendly Zionist psychiatrist can be found nearby.